WWE recently announced that Chase Field in Phoenix will host Royal Rumble on Sunday January 27, 2019. This marks WWE’s debut at Chase Field and the first time that the Royal Rumble has ever been held at a baseball stadium. 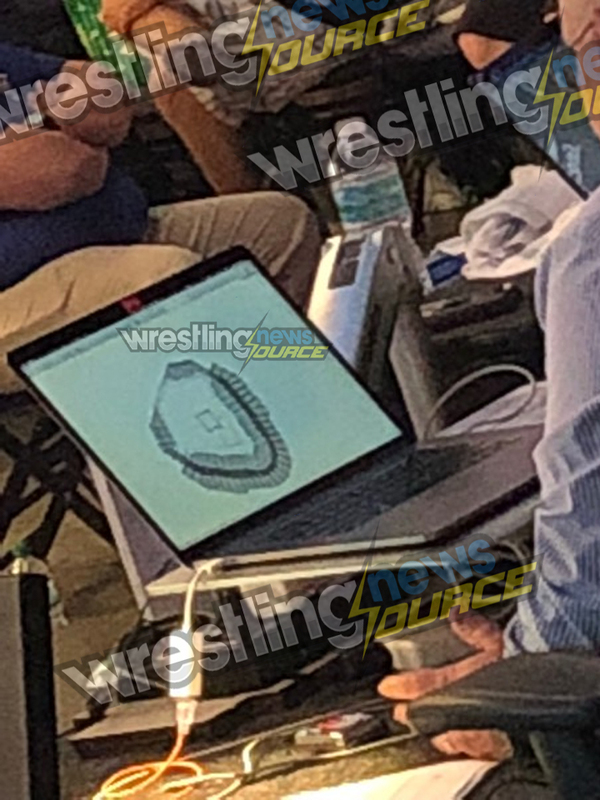 Given that it is a baseball stadium that can hold over 45,000 people it means WWE will be planning for a fancy entrance stage and ring set-up. 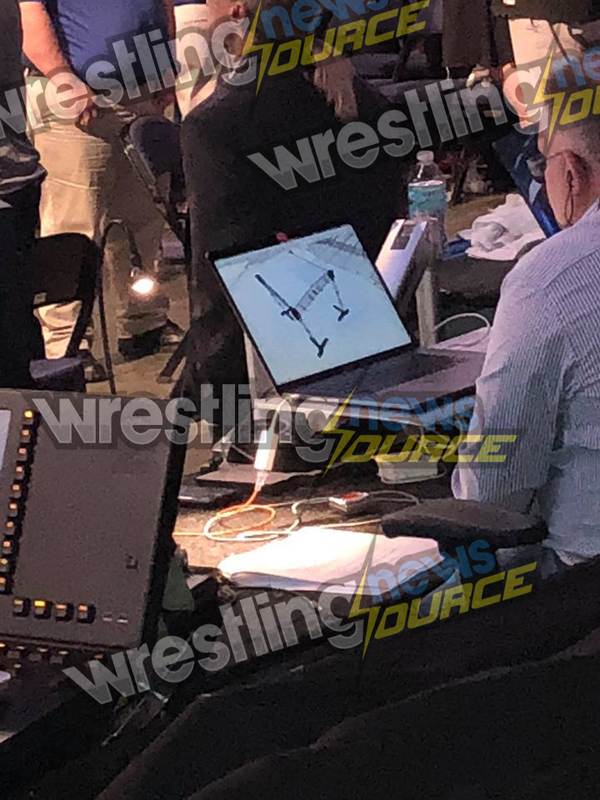 A WNS reader at tonight's WWE SmackDown has sent us a series photos of a member of the production crew looking at plans for the venue and layout, while the photo below doesn't show much it does confirm that there will be a canopy ring much like they've had at outdoor WrestleMania events and the recent Greatest Royal Rumble. Check out the leaked image below - we'll update if we receive any more.